For those who might be reading this blog hoping for engaging stories of unusual places and interesting people, sorry, today is about motors. The red series is the first day we tested the Torqeedo and there were 8 people on board, and the motor was jury rigged in position in the well. That might explain why both the other test days, (yellow and blue) show higher top speeds. But its odd that low speed the red line is the best – that is, not drawing much power to maintain the speed. And I had hoped that the streamlining of the flaps would have helped make her faster at all speeds. But doesn’t seem so. But I think this exponential regression plotting thingo is influenced by the number of observations. And so if going one way I was engaged in conversation and didn’t take many readings, and then coming back I was focussed and took many readings, well maybe that skews the graph towards the side where many readings are taken. Its sure to get better as I collect more information and learn more about how to interpret it properly. 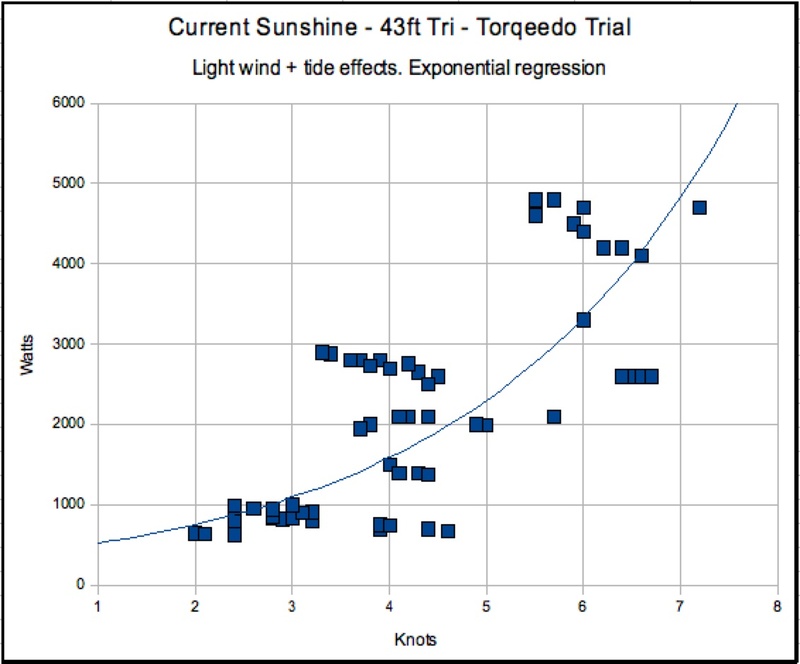 Here’s some results from the Torqeedo speed tests done just before hauling her out. These results are wind and tide effected but include readings taken in both directions and I’m hoping they would balance. 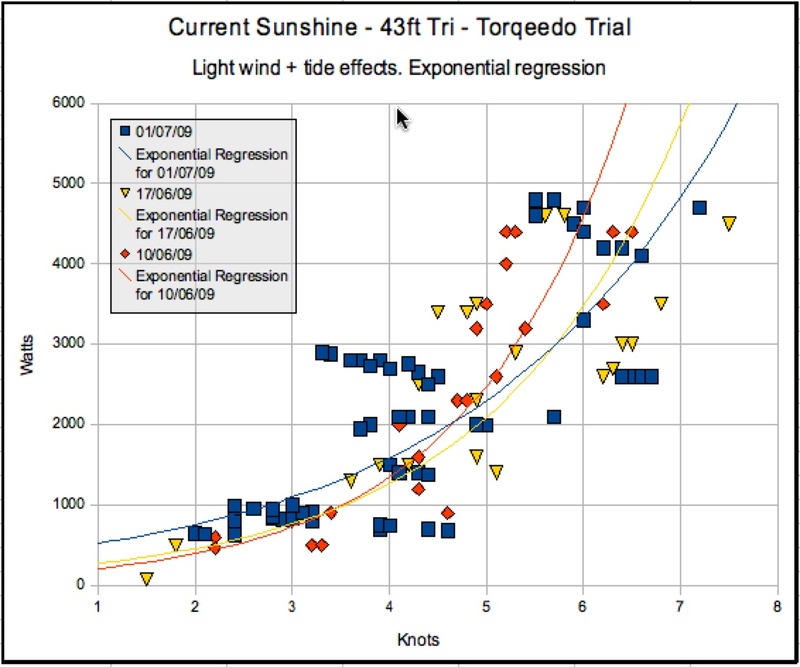 The curve fitting is done by the charting software and I’ve chosen the exponential regression option because I think it should be an exponential shape. That is, as speed increases the power required increases by an exponential amount. It looks about right to me.